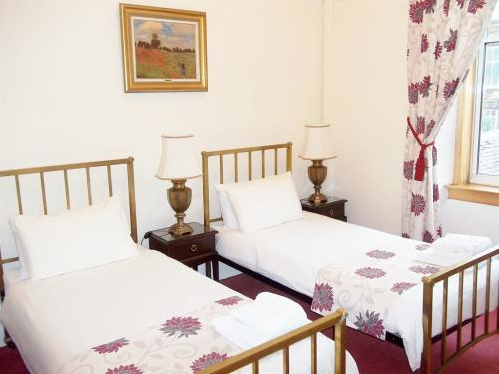 There is one ground floor room with private facilities and five rooms on the first floor. All rooms have a wash basin, TV/DVD, Freeview, Tea/cofee making facilities and complementary snacks, hairdryer and Wi-Fi access. 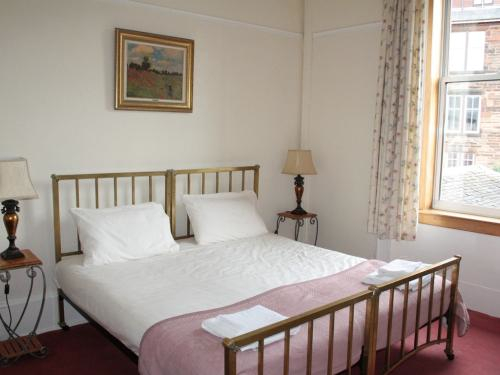 All are bright, airy, high ceilinged rooms with central heating throughout and all overlook the well kept, south facing gardens. The double has a comfortable double bed, TV with DVD and Freeview, free Wi-Fi, tea/coffe making facilities, hairdryer and wash basin. Full Scottish breakfast is included in the tariff. Breakfast times are 7-8.30am on weekdays and 8.30-9.30am on weekends and holiday Mondays. Check-in time for new guests arriving is between 1pm-9pm to be advised in advance please. Accommodation is available all year round. At Christmas and new Year, a minimum of 3 consecutive nights is required. 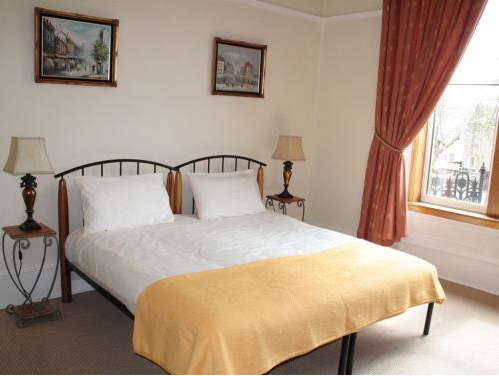 The standard double room has a double bed, TV/DVD with Freeview and iPod dock,free Wi-Fi, tea and coffee making facilities, hairdryer and wash basin. Full Scottish breakfast is included in the tariff. Breakfast times are between 7-8.30am on weekdays and 8.30-9.30am on weekends and holiday Mondays. Check-in times for new guests arriving are between 1pm-9pm, to be advised in advance please. The twin has 2 single beds, TV with DVD and Freeview, free Wi-Fi, tea and coffee making facilities, hairdryer and wash basin. Full Scottish breakfast is included in the tariff. Check-in time for new guests arriving is between 1pm-9pm, to be advised in advance please.